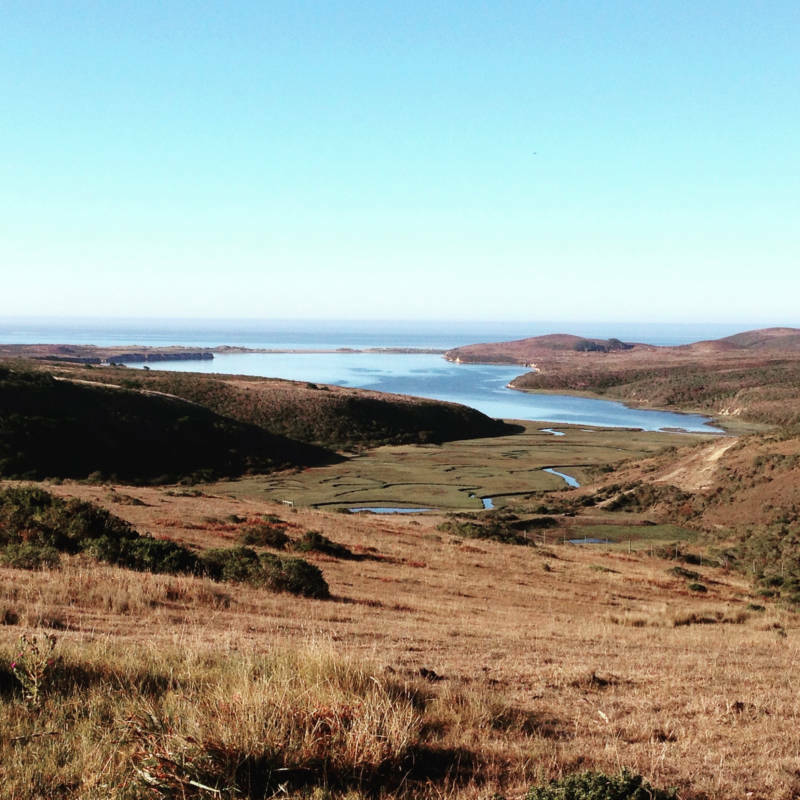 An uncertain future faces the beloved landscape of the Point Reyes National Seashore. 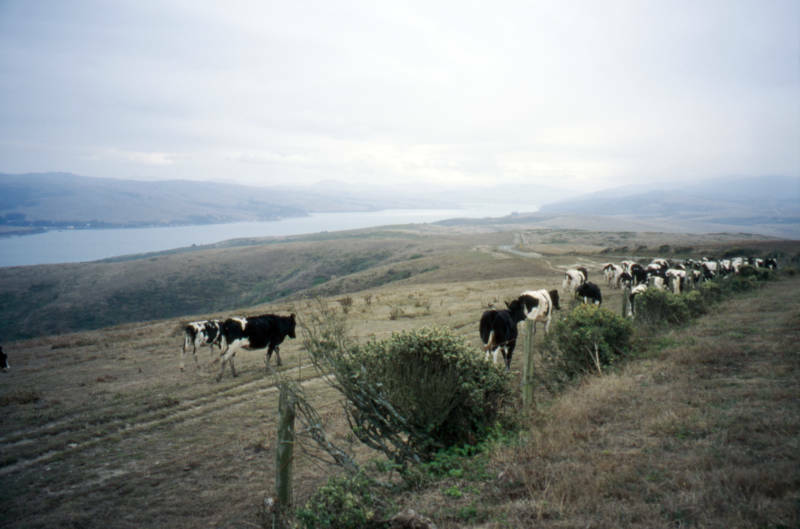 Here, amid rolling hills, a quarter of the seashore's land is used for ranching and some environmental groups want cattle erased from the picture. A settlement reached July 12, between the National Park Service and environmental groups, requires the park to assess the impact of cattle grazing on the park’s ecosystems and halt the process of issuing long-term leases to the ranchers. Some worry it may set the gears in motion for a complete phase-out of ranching in the park. The conflict highlights fundamentally opposing views over the question of the purpose of protected land: native wildlife and recreation, or should it also preserve iconic human landscapes? Erik Molvar, the Executive Director of the Western Watersheds Project, thinks the natural elements of the park should be the priority. Others believe that the historic character of the park should also have a role and the mix of ranches and wild land is what makes Pt. Reyes so special. Ranchers have grazed cattle in the area since the mid-1800s. Early European settlers found prime grazing land abundant with grasses and forbs. 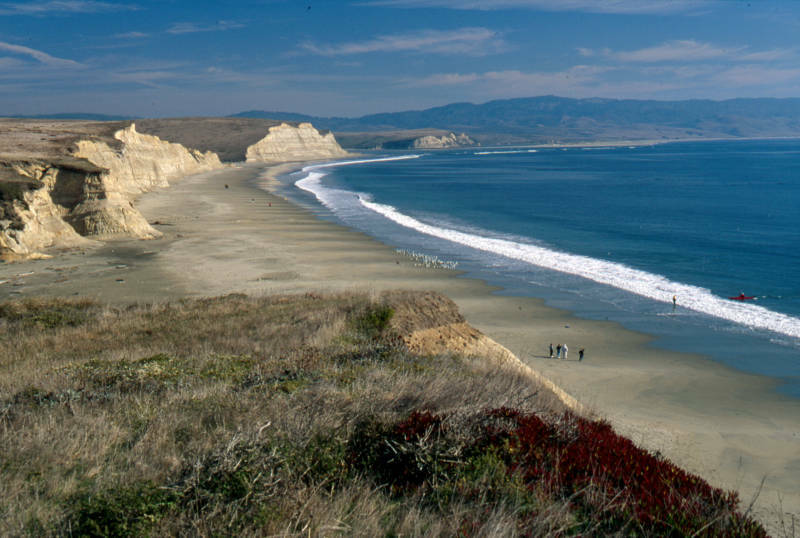 These coastal grasslands were most likely maintained by indigenous people, such as the Coast Miwok and their ancestors, who managed the land for thousands of years by burning, pruning and harvesting. By the 1960s, a combination of unfavorable economics, competition, labor costs, environmental regulation, taxes and land values threatened to put ranchers out of business. The NPS petitioned Congress for the creation of a federally protected area, after arrangements were made to keep existing ranches in place. “If we take the grazing pressure down a notch, the native grasses, forbs and wildflowers have some time to recover,” he says. However, it is not universally accepted that removing the cattle would be better for the land. There is also an aesthetic value to ranching as a hallmark aspect of the Pt. Reyes landscape, Watt says. 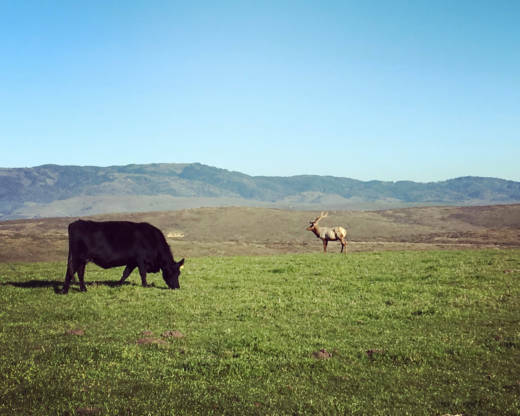 If cattle grazing were to stop all-together, the primary grazer left on the land would be the Tule elk. This native species went extinct from the area in the 1850s (largely because of uncontrolled hunting) and were reintroduced to the park multiple times in the past decades, once in 1978 and again in 1998. 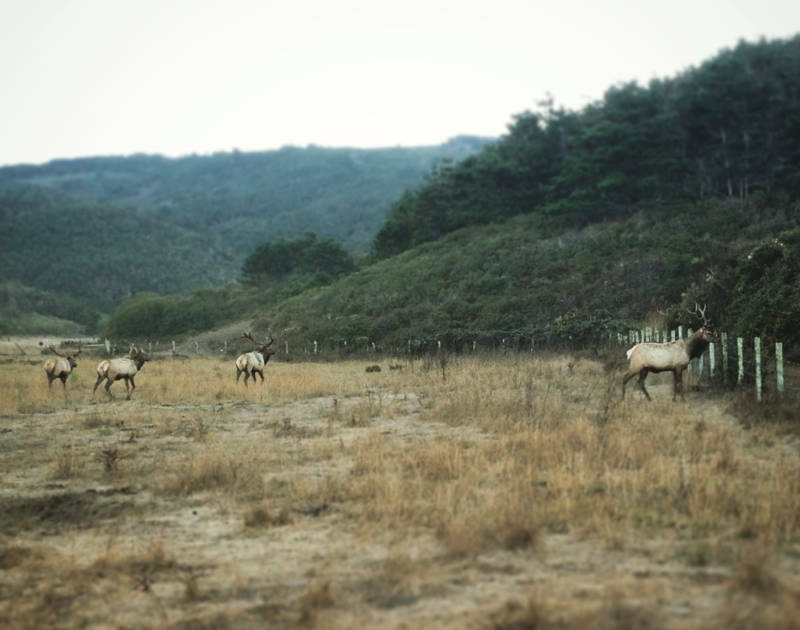 However, Tule elk compete with cattle for forage and are susceptible to the same diseases. Since the latest reintroduction, the elk have made a remarkable recovery, even becoming a victim of their own success. The park's management of the elk has been a flashpoint for controversy in recent years, sprouting much debate about how to control population size and disease. Both sides are hesitantly declaring the settlement a victory. The park has five years to conduct impact statements and create a general management plan to articulate their plan, and how ranching either fits or conflicts with those goals. The previous plan was created in 1980 and, according to all parties, is in desperate need of an update. “It’s a good deal all around,” says Miller. “It focuses on the issues that are most contentious right now, everyone can weigh in, and the park service can decide appropriate uses under what conditions moving forward. An unusual aspect of the settlement is that it requires the NPS to assess the impact of different ranching scenarios in the park, including ending ranching completely. Some worry this could be the first steps towards phasing it out. This would follow a trend of commercial operations being booted from the seashore, such as Drakes Bay Oyster Co., which was required to end its operations after legal action in 2014. In the meantime, everything is going to stay the same. That was one of the things that everyone could agree to in the settlement. During this time, ranches can receive short-term five-year leases. In the next four years the park will hold numerous public hearings, in addition to a public comment period.